The Roughnecks and Crescent Point Energy are helping to keep STARS in the sky. 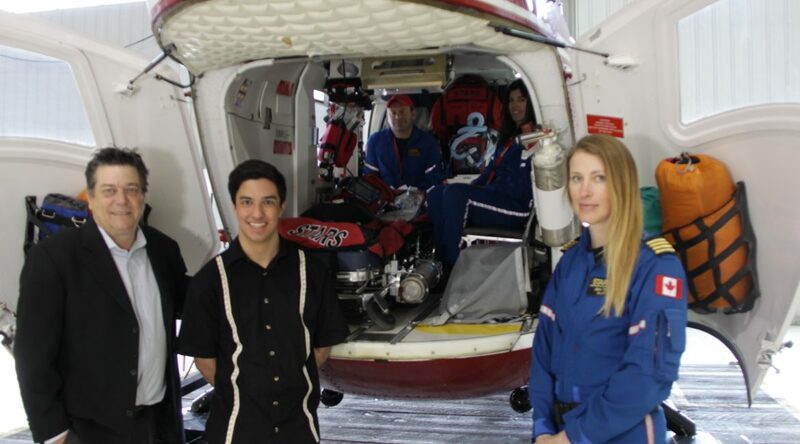 The two organizations donated $38.520.60 to the air ambulance service Wednesday. The Roughnecks gave $13,520.60 raised through an online auction of the team’s Stars Wars-themed jerseys. Crescent Point Energy donated $25,000, in part from ticket sales to the Roughnecks Star Wars Party on Jan. 27 and for every save made by a Riggers goalie this season at the Scotiabank Saddledome. STARS president and CEO Andrea Robertson was thankful for the support. Roughnecks General Manager Mike Board said giving back is an important part of what the team does. Pasha Thomson – who was rescued by STARS after a snowboarding accident two years ago – is now a VIP (Very Important Patient) that speaks about the organization’s impact. Since its first jersey auction in 2016, the Roughnecks have been able to contribute $57,000 to STARS.